New Year’s Eve is quite the event at my house. Since it involves lots of kiddos running around, I tend to keep things pretty simple and don’t go too crazy with fancy decorations or gourmet food. But a girl can dream….and I find the combination of coral and gold to be simply divine. You can’t help but think of pink champagne and gold stars when considering the combo of coral and gold. 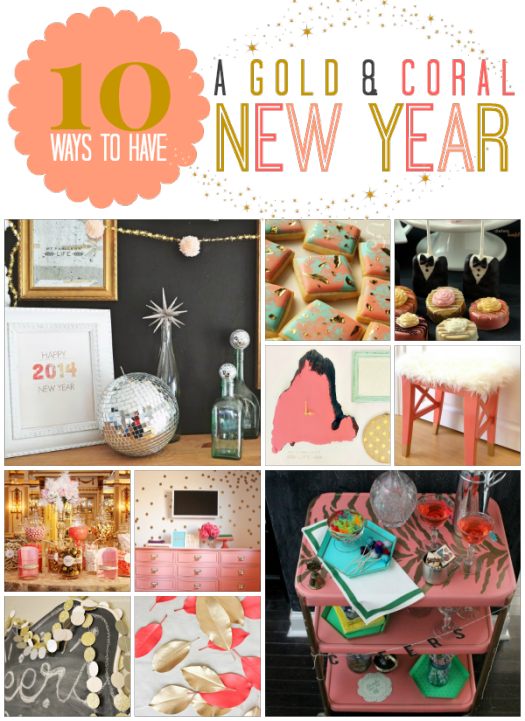 So really, it seems like the perfect color trend to incorporate into a celebration of the New Year.